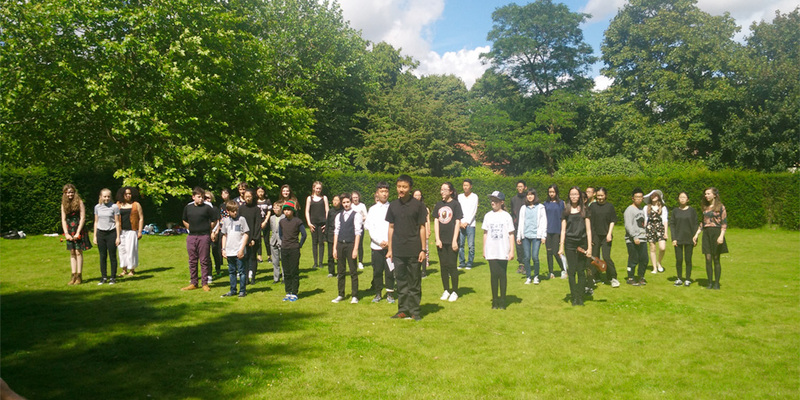 This year our final production of A Midsummer Night’s Dream was at the Yew Tree Circle at Ann Hathaway’s cottage. A beautiful venue, in the grounds of the cottage which provided amazing space and atmosphere! The students had been divided into groups and had worked on their own interpretation of their scenes. Without changing the essentials of the story, they added movement, music and humour to the play over the 15 hours they had available to work on the text. An impossible task without John Cotgrave and his Drama team. The process of working together provided real opportunity to find different approaches to characters , to their relationships and to the general presentation of the play. There were shared ideas, conversations and so much laughter! 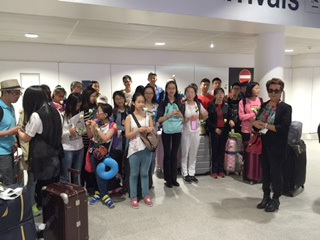 Honley families provided a safe, warm and caring Homestay experience for the Chinese students which gave them a real insight into the British way of life. This year some students stayed at Coddy’s Farm in Holmfirth and had a great time feeding lambs, walking in the valley and enjoying a really exciting camping trip at Bradley Woods Adventure Park. Cummins Engineering kindly provided a highly successful and informative workshop on teamwork and collaboration. 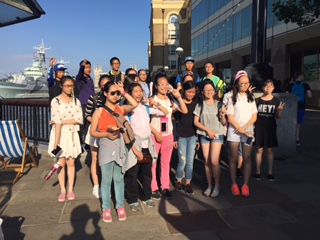 Chinese students said a fond farewell to their English friends after a Fish and Chip supper and a Karaoke session. 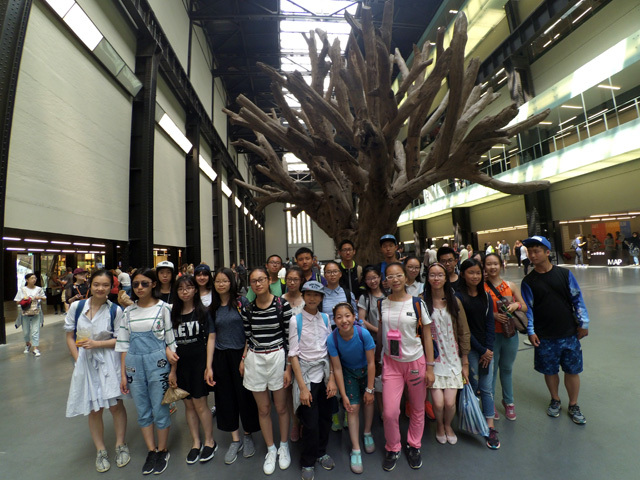 The Chinese students then went to London for 3 days where they saw an awesome production of A Midsummer’s Night Dream at the Globe. 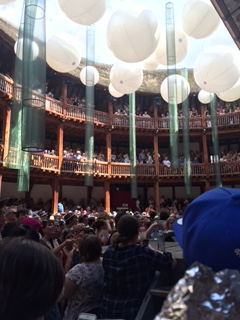 Performed at a different level and scale, it showed the very different interpretations possible with Shakespeare. The students watched with close attention with a greater appreciation following their own performance. The British Museum, a visit to Cambridge and a good shopping session down Oxford St completed a visit to this country which showed it at its best. July 10th – Welcomed with a White Yorkshire Rose in Manchester! A Midsummer Night’s Dream performed in the grounds of Ann Hathaway’s Cottage… Wow, that was good! 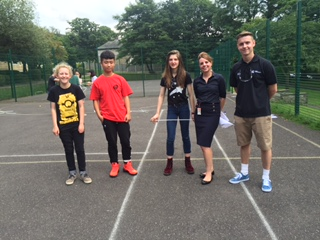 A very BIG Thank You to Nikita and the team from Cummings Engineering …Team building, collaboration and finding out how to be wrong …learning life skills and having fun! 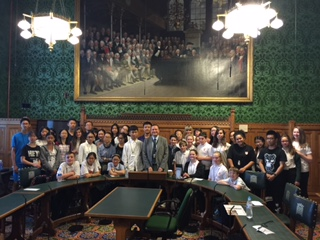 In Parliament with Jason McCartney… a truly splendid place to be! 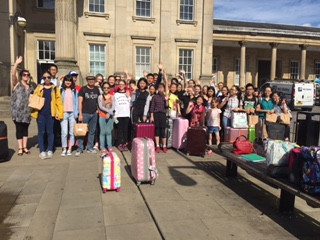 Fond Farewell to the Chinese students at Huddersfield station as they made their way back to London to see the sights!